My inspiration came from a gift. I was trying to pin down all the ideas tangled up in my mind, and my son brought in an abandoned birds nest he had found on the ground. He said it was for me and my art! It was one of those light bulb moments. 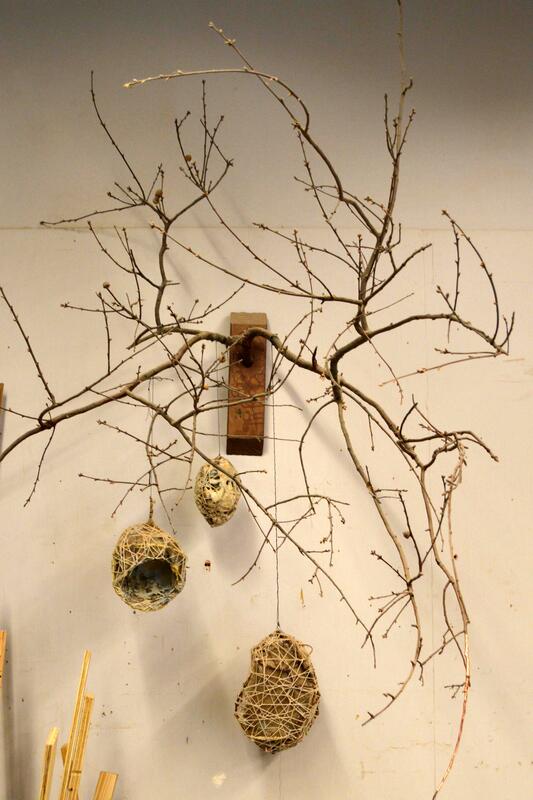 I decided to only use salvaged items to keep the idea of a birds nest. I started out with bamboo I bent and wove together into circles. I then started to tie and tangle string around the construction till it was a tight web. On some, I added spray insulation to coat the inside. It gave the feeling of something soft, fluffy, but also internal and organic. 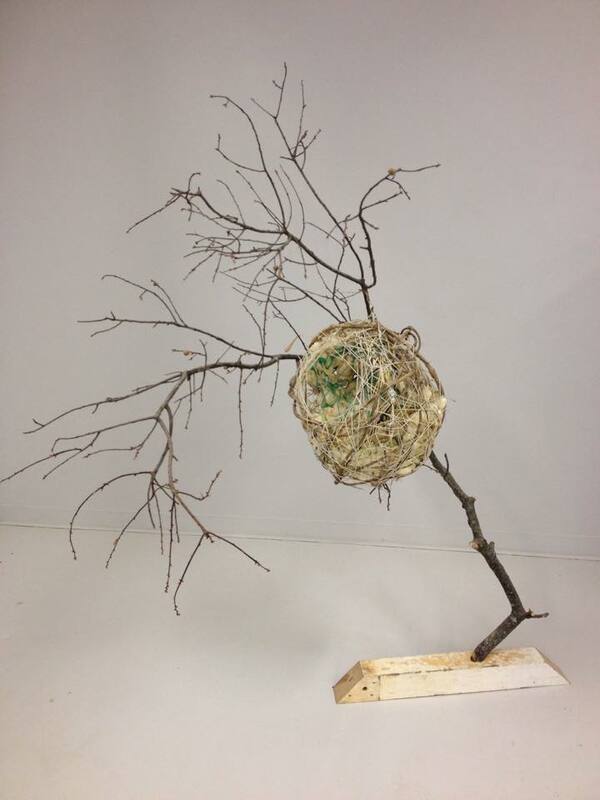 I was inspired by the branch, which was given to me by one of my trees in my backyard. I loved how it twisted around like it was cradling something. 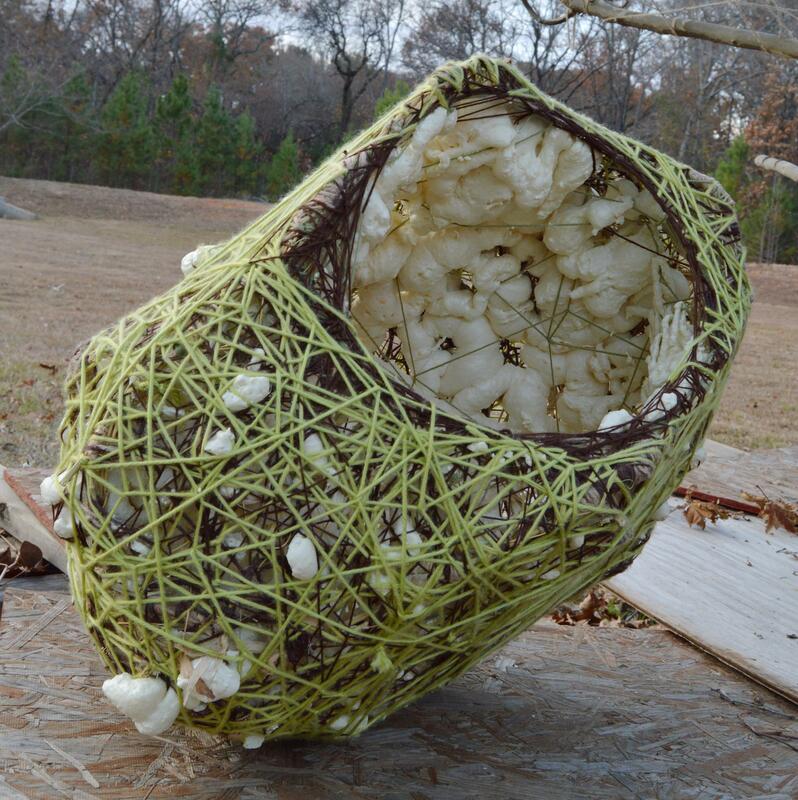 It only needed something to hold, so I wove a nest to nestle into its branches. 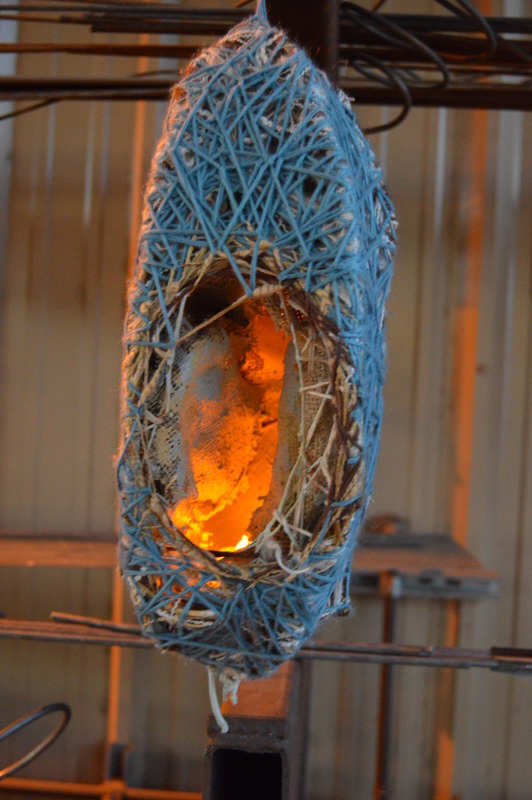 Within the layers of yarn and twine, and nested behind paint soaked burlap, is a tiny light. This sculpture is irresistible to children and cats. They all want to crawl inside. Some connections are unexpected. 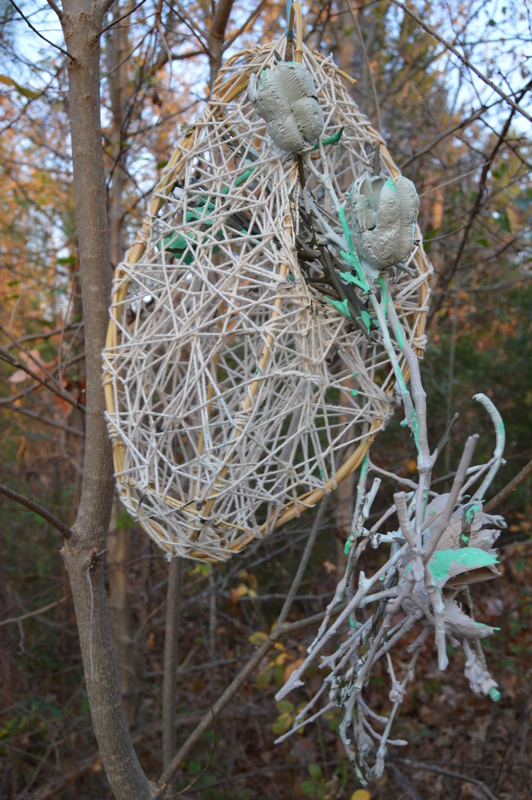 The twigs and seed pods are connected only with paint to each other and the twine. around 5 x 5 x 5 ft. Within the safe embrace of branches, nests dance to the song of the wind.